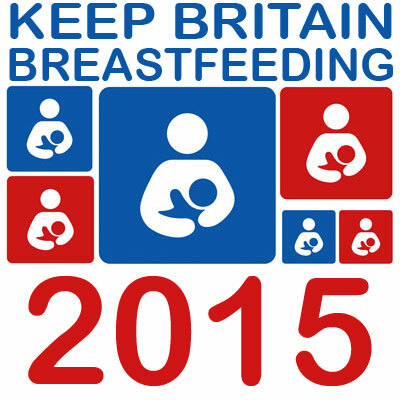 Dates - The Keep Britain Breastfeeding Scavenger Hunt 2015 will run throughout World Breastfeeding Week, 1st-7th August 2015. Are you eligible? - You must subscribe to this website to be eligible to win the Grand Prize. You will receive updates about the hunt on a daily basis during the Week of August 1st-7th, 2015 and then whenever new posts are published on this website after that. You can unsubscribe at any time if you decide that you do not want to receive these updates after the competition has ended, or if you would like to remove yourself from the competition. At this time you must live in the UK or Republic of Ireland unless otherwise stated by the competition prize providers in order to be eligible for the Grand Prize. Individual competitions will state if prizes can be sent elsewhere. How to Participate - To be eligible to win the Grand Prize you must visit participating websites and blogs to read articles about breastfeeding. 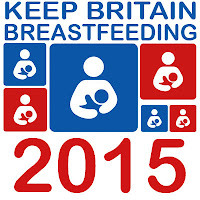 You will find the Keep Britain Breastfeeding logo and be able to enter the competition through a rafflecopter widget. The rafflecopter widget will tell you exactly what you need to do to accumulate points. You will need to accumulate at least 50 points (or enter at least 10 different rafflecopters) during the week 1-7 August, 2015 to be eligible to win the Grand Prize. Winner - Entries will only be counted if received before the close of the event at 12:00pm on August 8th, 2015. The winner will be chosen at random and announced within 2 weeks. The winner will be announced on this website and will receive an email from karen.mccully@gmail.com stating that they have won. The winners name will also be posted on the facebook page and tweeted, so please go ahead and like the page and follow @keepbritainbf for additional updates.